Evidence of the AD 562 Comet that struck Britain reveals long lost settlement in Wales. Had it not been for a visit to see Alan Wilson and Baram Blackett at their home in the north of England this evidence might still be wandering around doing nothing for another 2000 years? Unlike university academics who are funded and paid by the English Government to sit on their big fat backsides doing nothing the three of us dip into our own pockets to do our research when and if we can afford it. Sometimes that research might be wandering around museums looking for certain things that are out of place such as Stars of David on bowls found in the British Museum, or a small figure on horseback that has a stark resemblance of being a North American Indian on what the Academics call a Saxon Ceremonial Helmet. Little things like this just don’t add up in this modern age and civilised society I feel sure you might agree. Therefore we can only come to the conclusion that the so called establishments ideas and theories are on a very unsound and liquefied base on which they make such claims. The problem is that in AD 562 a large Comet struck Britain which according to accurate records devastated Britain in such a manner that it set the country on fire from end to end. We read from Sir Thomas Mallory sections in his Morte d’ Arthur that something terrible had happened and the only elaboration of what happened because he had no way of knowing about the effects of the Comet he described the scenario as the Wilderness where nothing lived. No human signs of life could be found and no animals were to be found alive either. Wandering into this forbidden territory meant certain death too. Very little is actually known about the event and no one’s bothered to venture into what actually happened and how it affected Britain. Apart from University Professors agreeing that a Comet did strike Britain at that particular time not one single Historian, Archaeologist has taken up the gauntlet to research this very important event in British History. For the most part my work with Alan Wilson and Baram Blackett was mainly because of my expertise with a vast array of metal detectors I use and use with good effect. Having played with these machines initially as an armatur then as a professional gave me an entrance to a very select few in Alan and Baram’s inner circle and part of a highly motivated team of researchers. The very first time we met up and went over some of Alan’s sites that he had discovered was an amazing experience in itself. Alan also knew that because of the many roads and back roads they would use it would be almost impossible for anyone to remember routes taken. Not that it bothered me at the time because initially my purpose was to identify if there was any metallic objects in an area that they wanted me to survey with my machines. My main machine uses a 1 x 1 meter coil and won’t detect anything smaller than a tennis ball. However we were not looking for small treasures but quite large ones the bigger the better. Over the years we worked together great as a team and I was fortunate to be taken to many of the sites that are all connected to King Arthur in one way or another. One day Alan decided to show me around Llantwit Major because this was where the great learning centres were situated during King Arthur’s day as stated by Julius Caesar. This is where the Romans sent their children to be educated and where the Anglo Saxons had to come in order to learn to read and write and become literate. In the actual Church at Llantwit Major is a wonderful collection of memorial stones or grave stones that have been taken inside the church in order to preserve them. Why are they so important, well they are inscribed with the Ancient Coelbren Alphabet and some are in memory of Kings and Princes? It’s also a pain in the side to the English Establishment who like to claim Wales was a principality not a Kingdom but we can prove our case The English Establishment cannot prove anything because they have a Monarch to please and contend with, so political correctness comes into play. As a bonus Alan decided to take me to one of the landmarks near Llantwit Major called Caermead where the Academics claim there used to be a Roman Villa which is one of the tourists attractions. Whilst I was there I could help notice the vast amount of Dressed Marble that abounds in a ditch running alongside the road. Alan told me, “it was where the locals had demolished this rare ancient building and because it was in Wales it had to go together with everything Arthurian.” Strange as it may seem it wasn’t until years later reading some of Geoffrey of Monmouth’s writings and those of Sir Thomas Mallory that white dressed marble became such an important feature. Marble is a very expensive building material and it is totally out of logic that anyone would send in a team to demolish and break up this very expensive source of material. Anyone with an ounce of imagination would realise that this material could be used to build other buildings so why in tarnation would anyone want to destroy it beyond recognition. Of course all this happened years ago and you forget things over the years and you learn new things that went on and don’t pay any particular attention when you learn about the Comet and the devastation it caused. However when you read that this particular Comet struck with the force of 100 Hiroshima type atom bombs and having watched A bomb blasts on YouTube you suddenly recall all the white dressed marble and realise there was a similarity of what happened to Hiroshima and the same thing happening at Caermead. Suddenly you realise that what was under your nose all the time is really the Lost Palace of Boverton which was written about and build in the first or second century. It has been the home of numerous Welsh or rather British Kings during their reign including the famous King Arthur. So what happened is only conjecture but it’s probably as accurate as what the so called Academics would come up with if they had or wanted this site made publicly known. Picture this you live in a country when you constantly watch the stars and heavens for weather predictions red sky at night shepherds delight meaning a fine day tomorrow. Then one day they look up and see something strange in the sky overhead and it’s enough to scare the living daylights out of anyone. What they actually saw was the Approaching Comet that was making circuits of the Earth before earth’s gravity took over and it started to make it final approach. Once it entered Earth’s gravitational forces debris started to fall to earth and it was this debris that did all the damage. What has been realised is that prior to the Comet striking Britain it hit Bolivia first and wiped it our completely. It may also explain why other cultures such as the Aztecs and Mayans disappeared when they did too. I am allowed a certain amount of journalistic licence. In a way this reminds me of a little story of the three pigs and the big bad wolf who would huff and puff till he blew the houses down except this was with such force that it actually broke the marble into thousands of tiny pieces. The actual site is said to be between 8 to 11 acres and the buildings covering 4 and a half acres. In other words this was a huge palace that was totally destroyed in a matter of seconds if not minutes. Whoever was inside that building at the time would have died instantly together with any animals too. 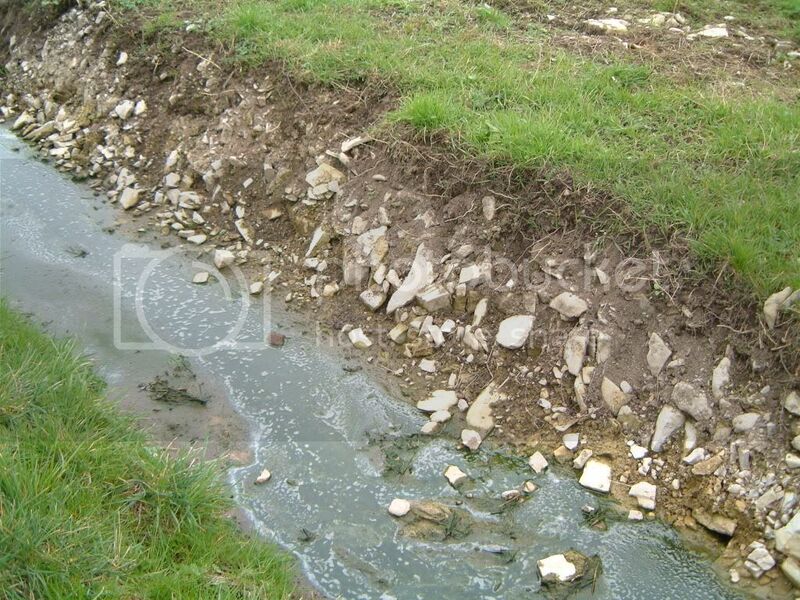 doesnt a ditch full of dressed marble give even an idiot a clue what happened there? you cant fake pics like this.? The site became a time capsule with everything in it covered by the vast amounts of marble that fell inside or in surrounding areas. The Site is probably the greatest historical site anywhere in Europe if not the whole world. Now the Comets on its descent and lands somewhere off the coast of Norway where research is under way to find out exactly where it splashed down. This is the interesting part that no one’s thought of or done any research to prove this actually happened because if it did then somewhere there would be some evidence of the tragedy and leave some clues that prove something similar did happen. 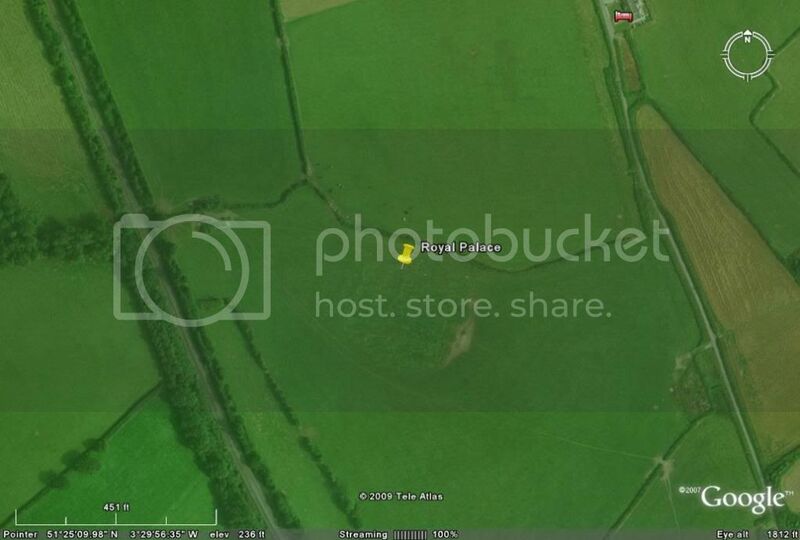 One of Alan Wilsons great tools and mine for that sake is Google Earth and the last time I was up at Alan’s he would confide in me the house that Guinevere lived in which remarkably still stands to this day. There is also the home of Mordred they lived about a mile from a certain woods and would meet there until they decided to usurp the Kingdom which led to the battle of Camlan. Here Mordred was killed and Guinevere fled to Scotland where the knights caught up with her at Mie gel where a huge cross shows how she was tied to a stake and eaten my Arthurs dogs of war. Few people knew about it but Arthur actually had his own dock yard although I thought it interesting at the time just as many of the sites Alan tells me about, because he has visited many sites during his 30 years research. I used to spend many hours visiting some of those sites with Alan at his home some I have been to other I have yet to visit and Wales always fascinates me with new discoveries being made almost daily. 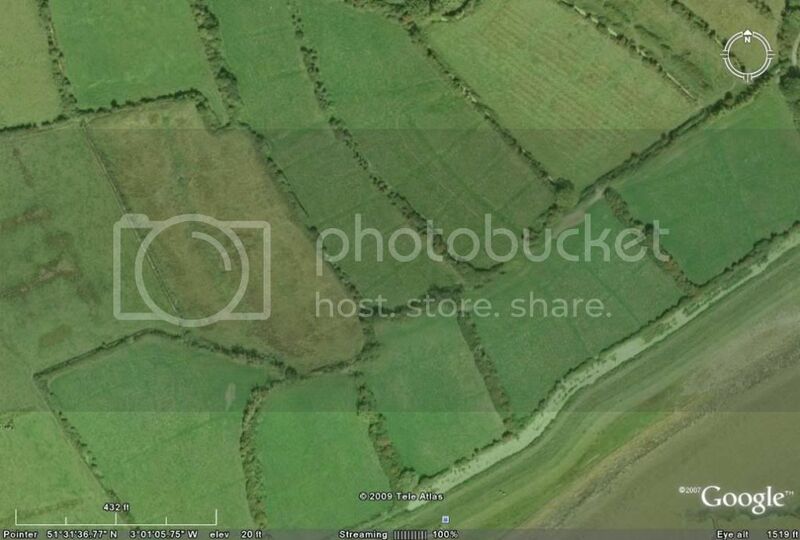 Now if you have Google earth you can enter into the search wentboge or wentbooge or you can even type in 51 31 55 39 N 3 02 30 61 W and there staring at you in the middle of one of the fields is what appears to be crop mark of a huge wall. If you go south you will find Arthurs dock it looks like a small pond from the air but it is quite big really. As you move around the area you will notice the way the fields have been divided up into strips. And as you move around even further you start to notice many little squares in those strips too. I wondered what they were initially too until I began to realise these were the crop marks of what was once a very very large settlement. Each one of those squares represents someone’s home and the entire community was wiped out in one massive blow but how? What could have caused such devastation that it could also affect so many places and homes further inland. We now know about Tsunamis which the ancients didn’t know about and nor did the ignorant English Academic until now. We know the damage and destruction that Tsunamis can do because water is a very powerful force and highly destructive. No one knows how big the Tsunami was that hit Britain after the Comet strike but there is evidence that one did happen because as you search along the coast going east you will see lots of those small square crop marks or foundation marks going into the sea. 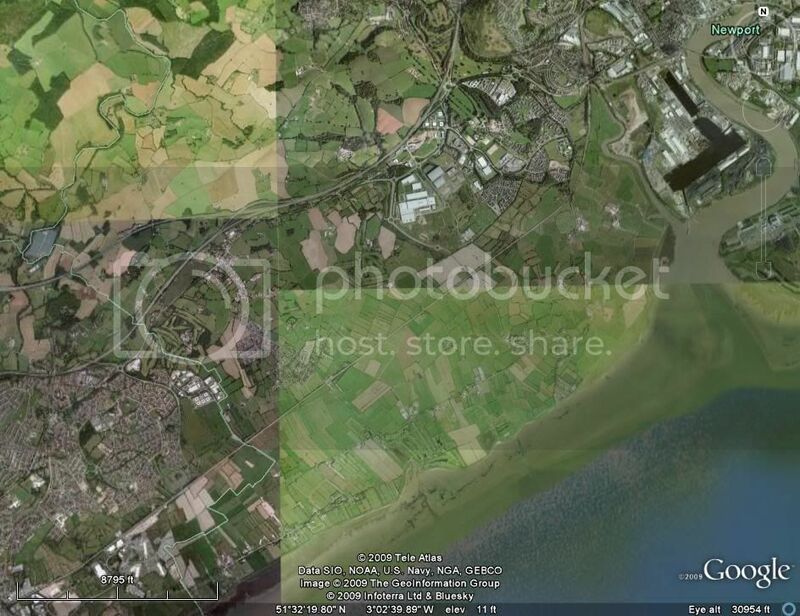 How much of the actual coastline has disappeared and swallowed up by Cardiff Bay is anyone’s guess. What it does prove is that there was a Tsunami caused by the aftershock of the comet strike. Of course one discovery leads to another and the name wentboog needs researching because this may of had something to do with the Ten Lost Tribes of Israel I only wish I had access to some infra red aerial photo’s which would show up the extent of this invisible unknown town more clearly. I’m sure it would be a very interesting place for any metal detector user to try his luck before the establishment got to know about it. While Academics bury their heads in the sand and up their rectrums we again beat them at what’s supposed to be their own game but when did any of them find anything by themselves? How many millions of Tax-payers money will be allocated to stupid digs in an attempt to find Camelot in England again it makes one think what imbiciles these so called Academics really are.